This one is a hybrid of Starbattle and Heyawake (Heyawacky). Since apparently I haven’t had enough skyscrapers, I keep misnaming this “Skywacky”. Inspiration? 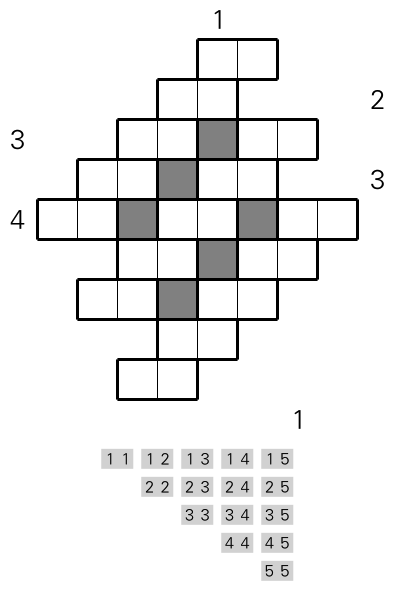 Rules Solve as a regular Star Battle. In addition, connected stretches of empty cells aren’t allowed to cross more than one region border. This entry was posted in Puzzles and tagged heyawake, hybrid, star battle, starwacky on 2018-11-14 by rob. Last of the Kellers, and the hardest. You really can’t say I wasn’t prepared. 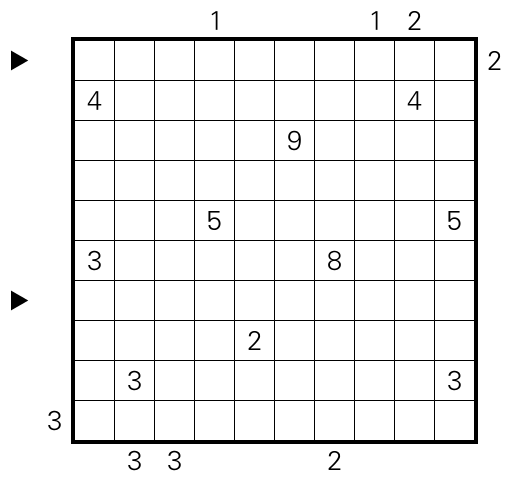 Rules The left grid is a Japanese Sums puzzle, digits 1-8. Place digits in some cells, so that they don’t repeat in rows or columns. 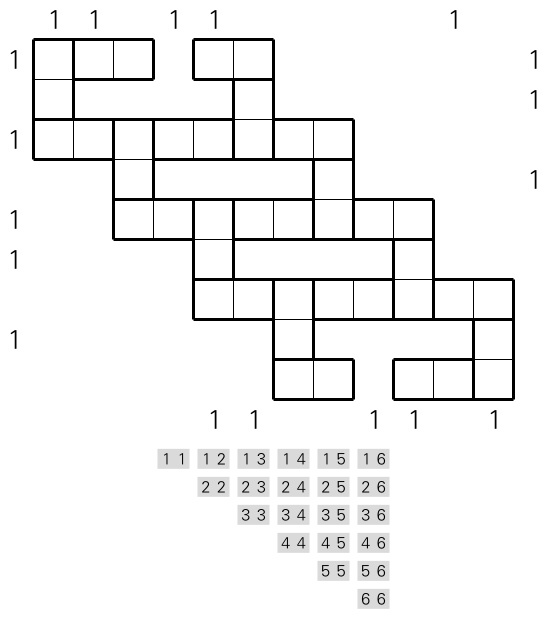 Clues give the sums of blocks of adjacent digits in order. 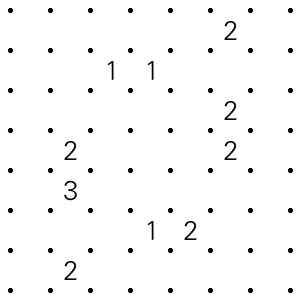 The right grid is a Dotted Snake: Draw a snake of any length that occupies full cells and doesn’t touch itself, not even diagonally. Numbering the snake cells from head to tail, put a dot in every third cell, starting with the third. Clues indicated the number of dotted snake cells in the corresponding row or column. 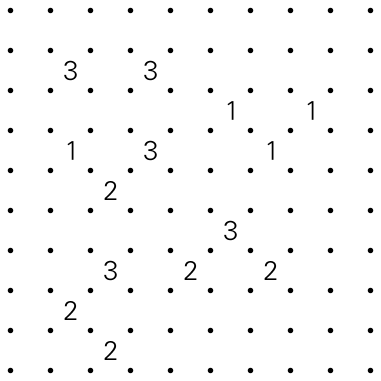 The grids interact: There must be a digit under every snake cell, and that digit must be divisible by three if and only if the corresponding snake cell is dotted. 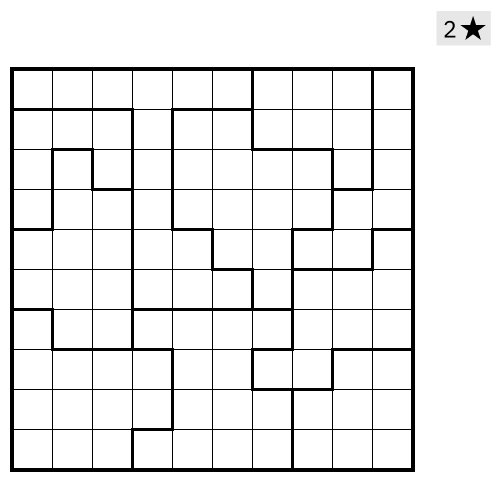 This entry was posted in Puzzles and tagged dotted snake, hard, hybrid, japanese sums, keller on 2016-06-23 by rob.